Get the Best haircut at Alibi Salon NYC Soho. Last week MyTopFace Expert was in one new place! 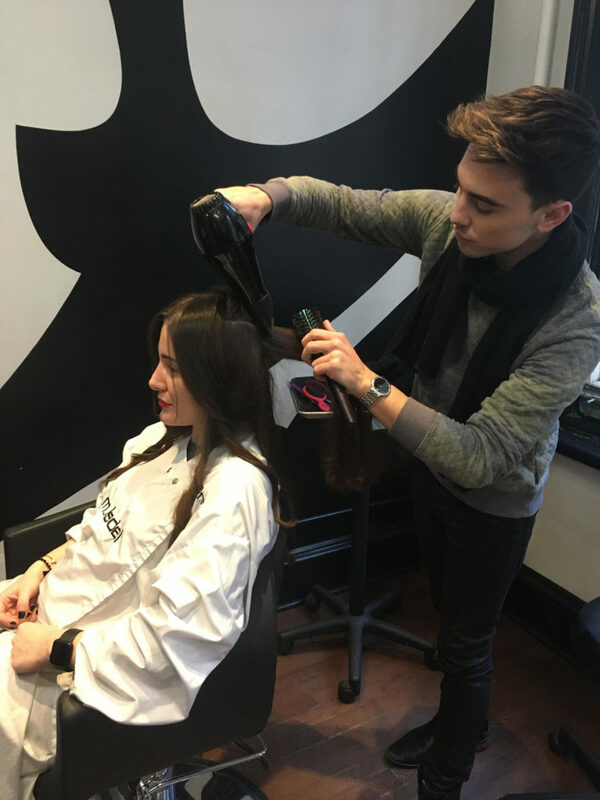 Our team member received the works – a wash, cut and blowout at the high end Alibi Salon NYC in Soho. Our MyTopFace Expert was greeted with a mint tea hand picked from the complimentary Alibi drink menu. The salon is upscale with a relaxing atmosphere and services their clients with the latest and greatest trends. Alibi NYC Hair Salon is comprised of only international top artists who give every guest the most personalized attention and time. One of the services they are most known for is the “Alibi Experience”—a stress relieving head/neck/hand massage using essential oils with steamed hot towels. Pictured Above: Koby-Ben Alibi NYC Creative director ; MyTopFace Expert and Alibi Salon NYC hairstylist Austin. The stunning necklace as seen above on our MyTopFaceExpert is from our friends at Zacasha. Find out more about this Trendy Piece! Our MyTopFace Expert received a layered haircut and then a beautiful blowout similar to the blowouts Alibi’s hair stlyist’s Austin uses on his Victoria Secret Models. 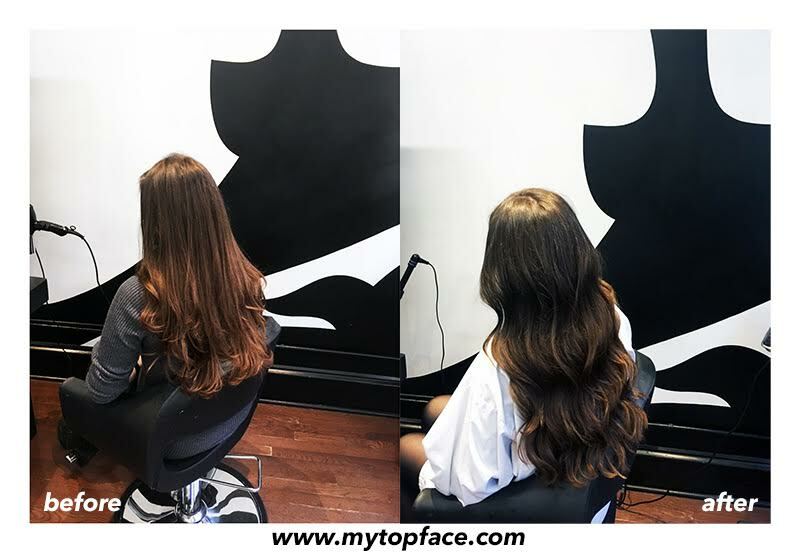 Our MyTopFace Expert felt treated like a celebrity herself that day with the service, quality and ambiance of the salon! Seen Above: Alibi Salon NYC Hairstylist Austin and MyTopFace Expert showing off her tassel bracelets from Zacasha. The Tassel bracelets are made of glass crystal and are adjustable to fit any size. Hairstylist performed a wash, cut and blowout on our MyTopFace Expert using the Lanza Hair Care Line and absolutely loved the results. As you can see in the after picture our team member’s hair has more volume and looks much healthier. 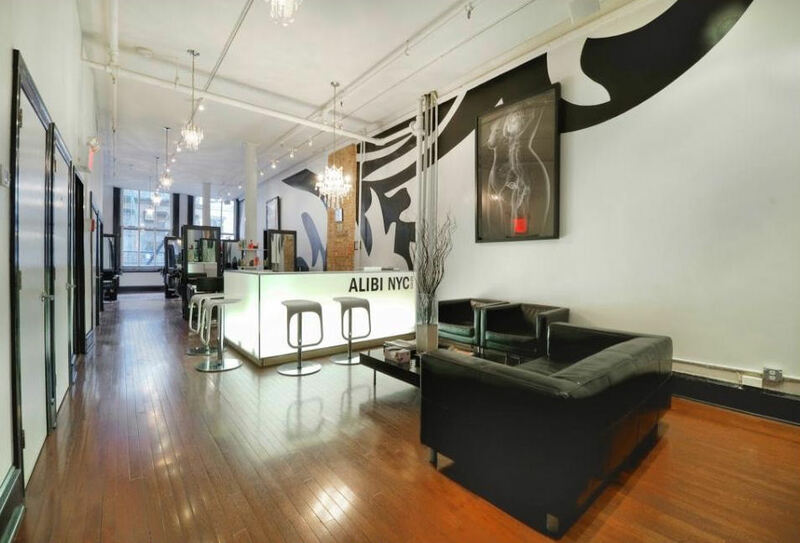 If your interested in taking a visit to the Alibi NYC Salon they have and extensive menu of services. Today our MyTopFace Expert received a simple layered haircut and blowout so we can not give a review of these services however they do include: precision and free hand hair cutting techniques , ombre painting color, balayage painting color , extensions, coppola keratin treatments and blow outs, botanical healing conditioning treatments and bridal hair and makeup services. If you are looking for the best keratin treatment in NY check our Fred Salon experience as we were obsessed with the results. We highly recommend you stopping their salon. After a day of treating yourself great at the Alibi Salon continue to keep yourself feeling and looking great at home by trying one of these products from Leonor Greyl. You deserve it!